The Younger Moderately Cognitive Impaired Classroom (YMoCI) at Onekama Elem. 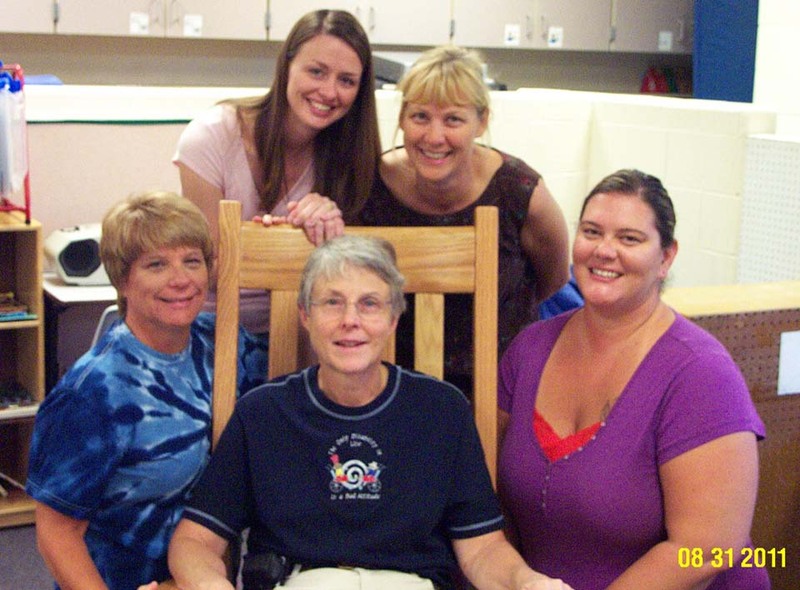 Staff from left is Tammy Sigman, Chere Ohman in the rocking chair and Crystal Haase on the right. Christa Gutowski and BJ Merkey in the back. There are two changes to the class, BJ Merkey is the lead teacher and Chere Ohman is joying the team as a paraprofessional. We are all looking forward to a fun learning experience for the students and staff.